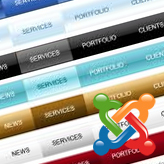 This tutorial shows how to install Joomla Framework template. It’s assumed that you already have a database created and have Joomla engine installed on your hosting server. It is vitally important to perform the installation steps as shown below. Please do not change the steps order. First of all you need to install all additional modules and components. They can be installed using the Joomla administration panel. Click Choose File button and upload all zip package files from the template "sources" directory. 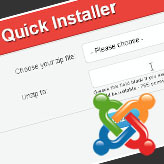 When the download is complete install it through the Extensions Manager in Joomla admin panel. Now you can install Joomla theme itself. 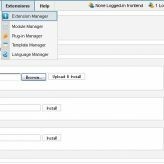 Open Joomla admin panel go to Extensions > Extensions Manager. 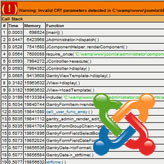 Upload the theme###.zip package from the "joomla" directory of your template package. If you have a clear Joomla installation and want to make your website appear as the template preview please proceed. In case you have a working Joomla website with important content (articles, modules, settings) please DO NOT install template sample data. Installing sample data will erase all your Joomla website content and replace it with the theme sample one. If you want to keep your website content please check the template instructions from the "documentation" directory of your template package. You need to configure the template manually. Open your database management tool (phpMyAdmin) from your hosting control panel. Select your database and click the Import button from the top menu. Select the dump.sql file from the template "sources" directory and click Go button in the bottom right corner. At last the final step. You need to upload the sample data images. Open the template package, go to "sources/to_root_directory" upload all files and folder to your Joomla installation root. Congratulations. You have successfully installed Joomla Framework template. This entry was posted in Joomla! Tutorials and tagged archived_tutorial, framework, gantry, install, Joomla, sample data, template. Bookmark the permalink.